One of the articles (a sponsored editorial) in the latest issue, “Moving mobile forward“, is written by Simon Hammon, Chief Product Officer at Net Entertainment. In the article Simon Hammon talks about mobile games and their growth, also how much Net Entertainment invest in their product portfolio and that they are producing higher quality productions in terms of usability and HTML5 possibilities. I think Net Entertainment’s mobile games are pretty good but there is one thing that really annoys me every time I play, and that is that when playing on an iPhone 5(s) the game do not cover the whole screen, instead there are 10% of the screen just black. Why not use the full screen? iPhone 5(s) is probably the single most used smartphone. Image 1. 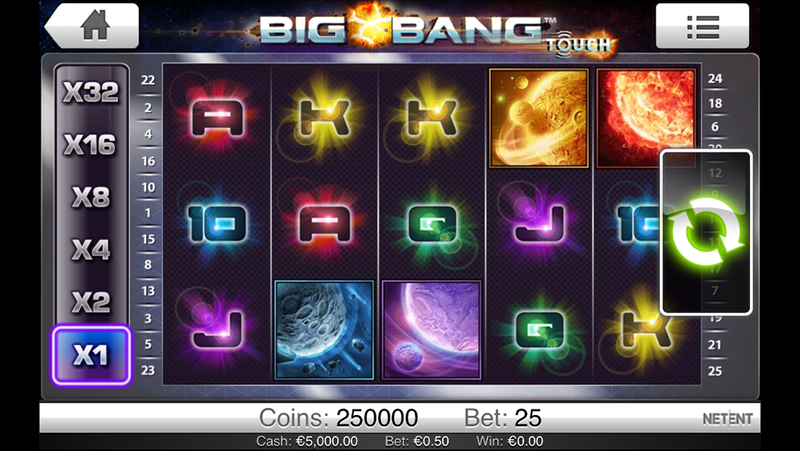 The Big Bang game for mobile. So this is a usability tip for Net Entertainment: Please make use of the last 10% as well!! ps. we at inUse (the largest UX consultant agency in Sweden) have a few ux designers coming from the igaming industry. So if you need any help then let us know! 🙂 ds.